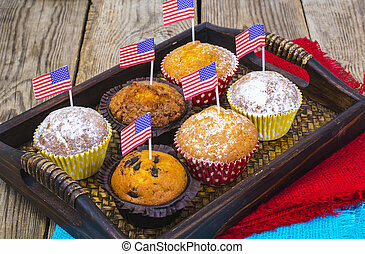 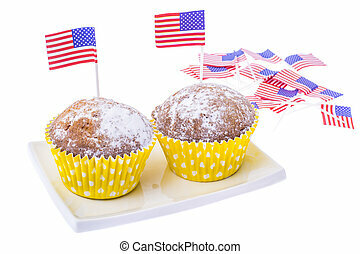 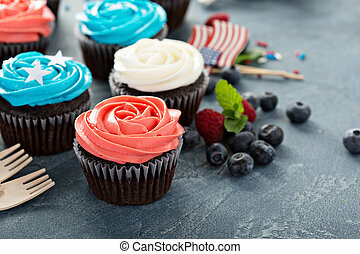 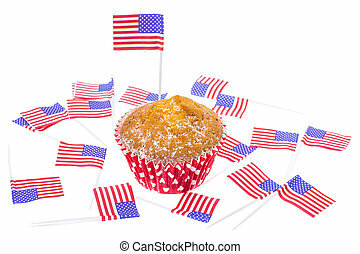 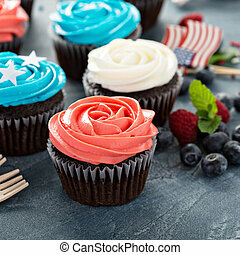 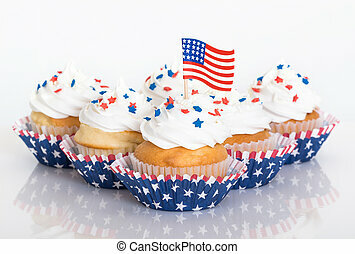 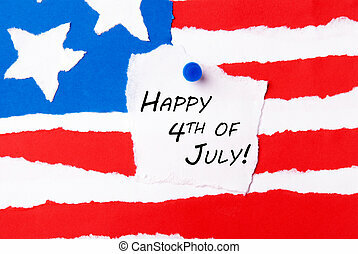 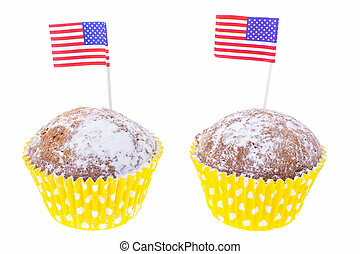 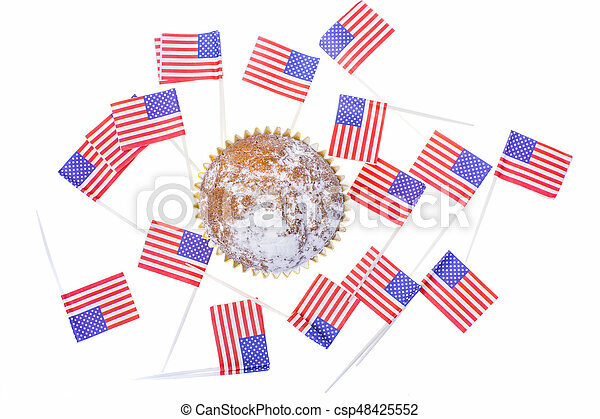 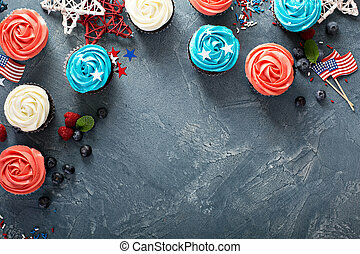 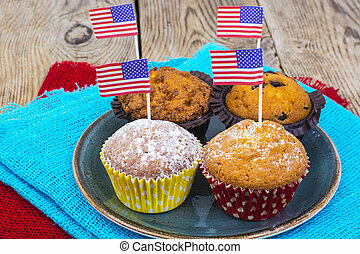 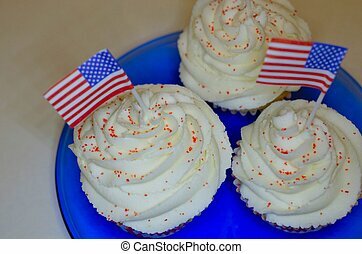 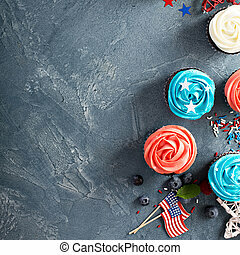 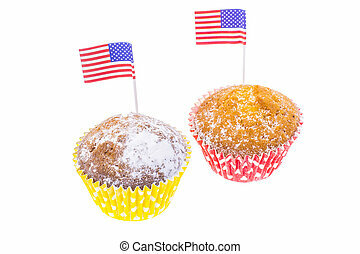 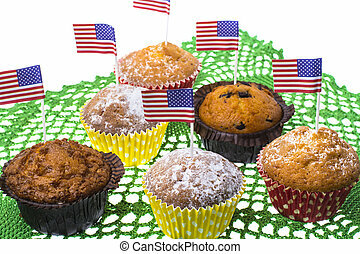 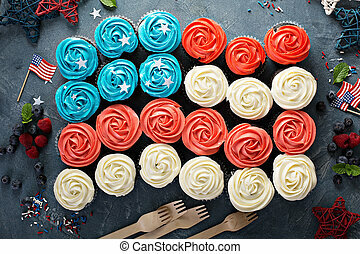 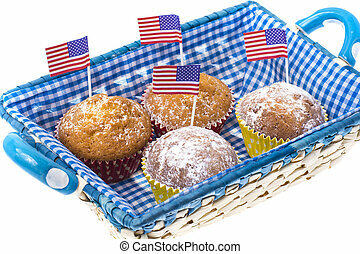 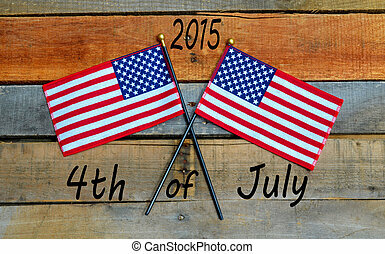 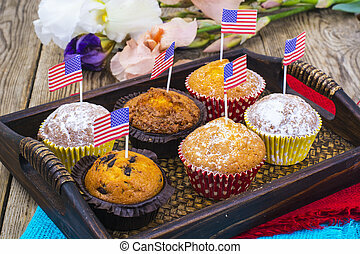 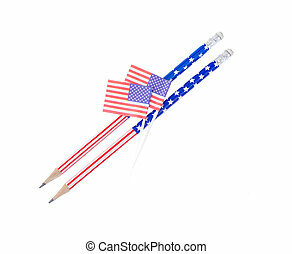 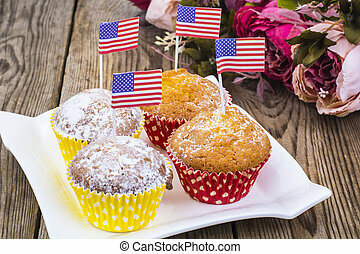 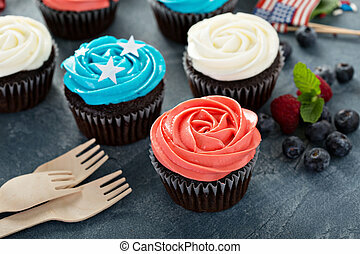 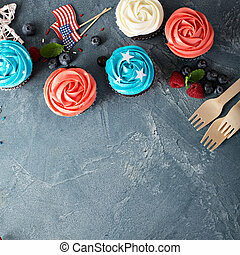 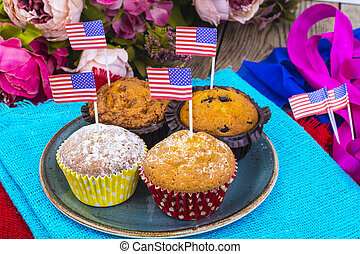 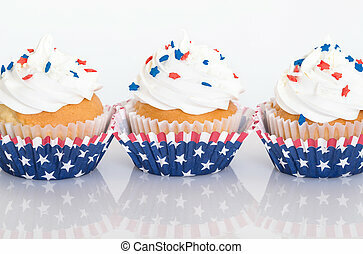 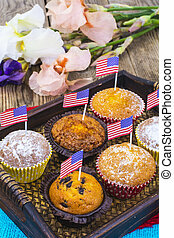 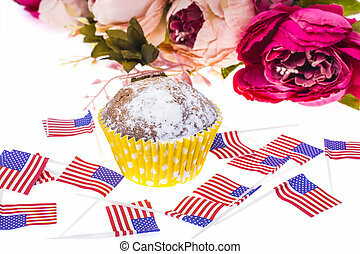 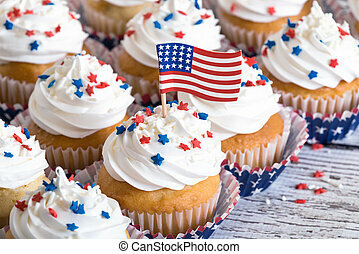 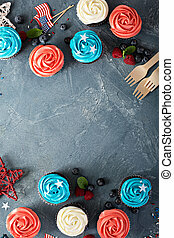 Patriotic holiday 4th of july: cupcakes with american flag. 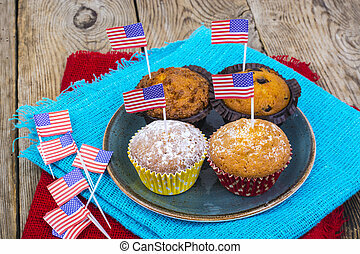 studio photo. 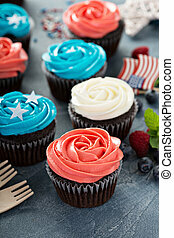 Patriotic Holiday 4th Of July: Cupcakes With American Flag.